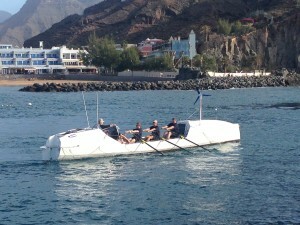 IMAGINE was a brand new 6 man ocean rowing boat built by Rossiters in Christchurch. 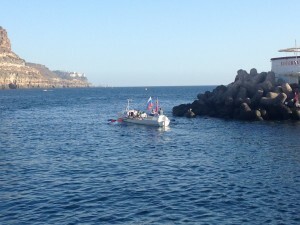 The boat and international crew left Puerto Mogan in Gran Canaria on 17 December 2013 at 2206hrs, heading to Barbados. 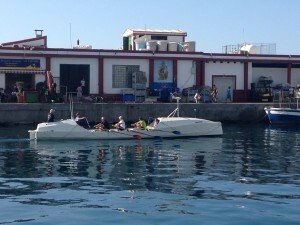 Sadly after 30 hours on the water they had complete rudder failure and had to be towed into La Gomera. Reports and updates on this challenge below. 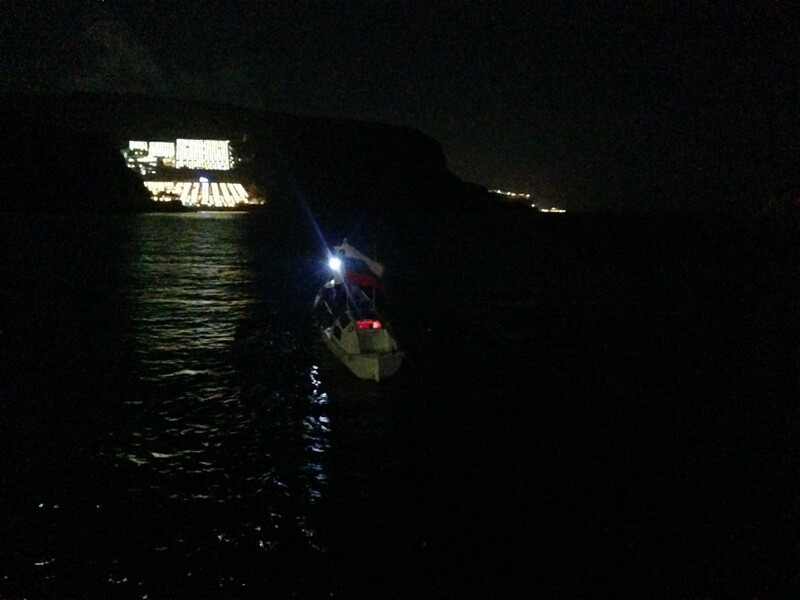 The crew of Imagine left the dock with an official leaving time of 2206 hours on 17th December 2013. 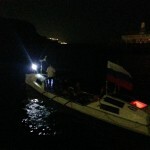 Photos below of them leaving – the crew were in good spirits, with Paul, Sergey & Sergey rowing the first two hours. Change over at midnight with Tom Fancett celebrating his 26th birthday in memorable style for the 18th December!!!! “Imagine” have had a problem with one of their batteries this lunchtime, so are sourcing a new battery and will now look to leave port on Tuesday 17th December instead. 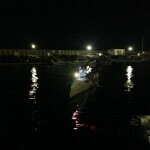 The crew of Imagine are doing final preparations on the boat in readiness to leave tomorrow evening. You will be able to follow their progress on the “Imagine” project page. They are excited to get going and start heading to Barbados…..! Well it seems to be out there, so we might as well let everyone know what we are doing. 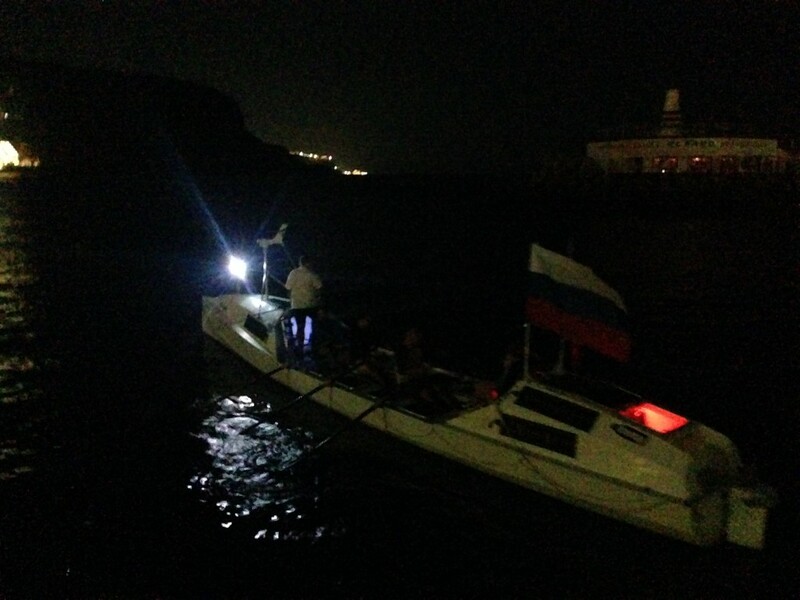 As soon as the weather clears, we are rowing as a crew of 6 – 3 Russians and 3 Brits, in a new Bosgraff designed – Rossiter built 6 man boat called Imagine. 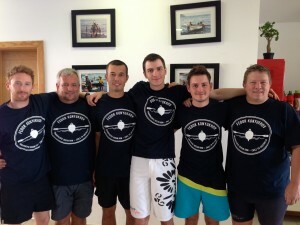 The aim is to chase down the Atlantic Rowing Fleet and to attempt to set a new speed record across the Atlantic. 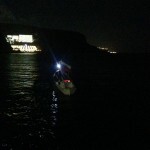 We will not leave port until it is safe to do so and when the weather is set to allow us to cross in a fast time. Then Paul Williams and Simon Chalk are returning to Gran Canaria – with a gap of about two weeks, in order to go across on a second speed campaign. This time with a great crew of 8 onboard Titan – freshly refitted and renamed the Toby Wallace. 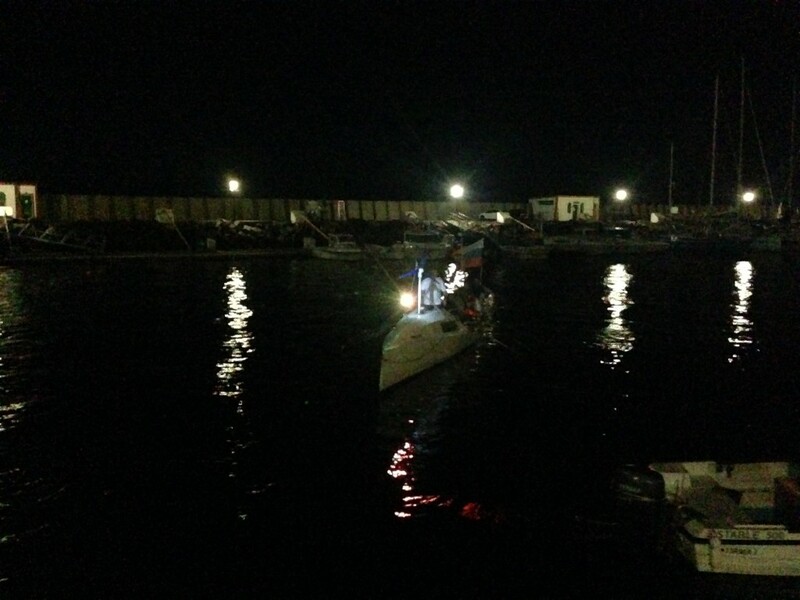 Their target is to cross the Atlantic twice and with a combined crossing time of less than 70 days. Each row will be a speed attempt. Each row will be tracked on this website. It is crucial that we have optimum conditions to make this goal achievable…… Lets do the double!! !